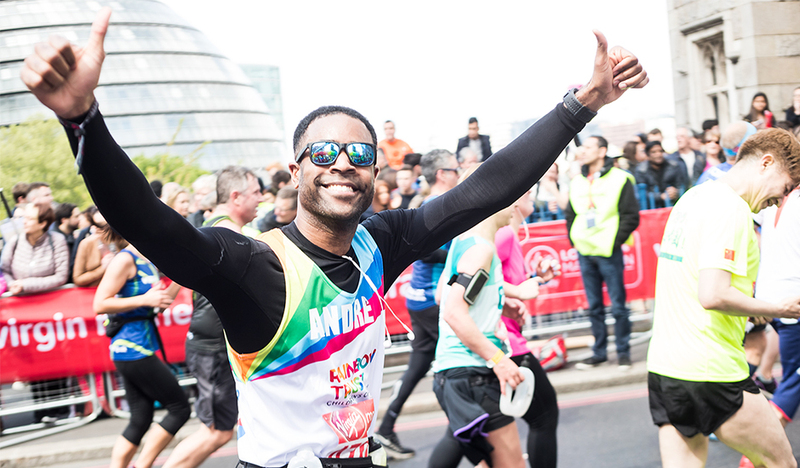 Join our team for one of the most iconic marathons in the World and help us raise funds to support more families who have seriously ill child. With more than 35,000 runners taking part, the London Marathon is the largest single fundraising event in the world. The atmosphere is out of this world, especially around the Rainbow Trust cheer points! We work hard to ensure all our runners have a memorable marathon experience - you will be supported all the way to the finish line, and beyond! To see it in action, check out this video of Rainbow Trust at the London Marathon. Three loud cheer points along the route looking out for you and armed with jelly babies! Inspirational fundraising advice and materials. To find out more about running for Rainbow Trust, you can contact us directly on 01372 220031.